"See Ya Later!" to Pillows + Canvas — Vacilando Quilting Co. I've given this a lot of thought and gone back and forth about it a million times, but I've decided to discontinue all Vacilando's pillow and canvas products. The last day to purchase pillows or canvas goods will be June 15th. 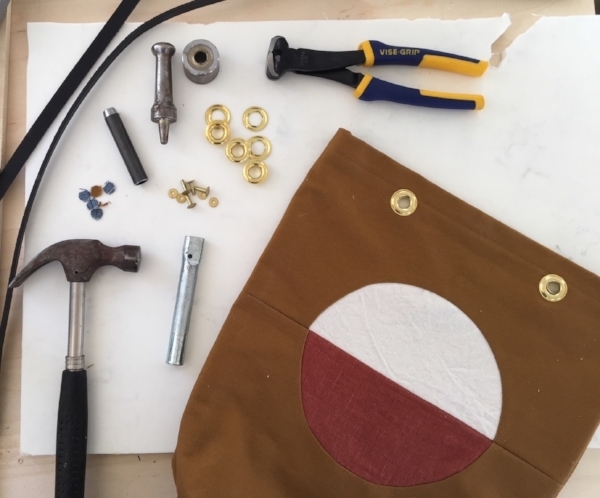 Making pillows and totes was a great way to offer pieces at a more affordable price range and made Vacilando accessible to more people. For a long time, they were the products keeping my business afloat. But with the uptick of quilt sales this past year and after digging into my numbers, I realized that continuing to make and sell pillows and totes in the way we're currently operating doesn't further the goals I have for Vacilando. And to be 100% honest with you, they always felt to me like an afterthought. Pillows were something I thought I had to make, but never really felt inspired working in that medium. As a practical minimalist, throw pillows don't seem nearly as essential as quilts. Canvas was a fun escape from quilting that stemmed from my need for a simple, useful tote bag. But at this point, without diving deep into leatherwork and bag construction and really investing in that product line, I can't grow in that direction without sacrificing the quilting side of the business. Now that Vacilando is fully mobile and traveling full time around North America, I'm working towards streamlining the raw materials I use, separating the wheat from the chaff. Maintaining and storing my supply of materials for pillows and canvas has become more difficult and restricting, especially with the limited space I have. So it feels like the right time to say "see ya later!" to these products. Thats right - we're not saying goodbye forever, just for now. At the end of the day, both of these products feel like a distraction from what I Do best and as an artist, truly want to focus on: quilts. What about the whole affordable products part? I'm working on that. While I do believe that handmade quilts are an investment worth saving up for, I also want to make them more accessible to more people. I'm figuring out ways to reduce the pricing on future quilt collections while maintaining the same high quality, keeping production U.S. based and handmade by skilled quilters in their homes. I'll also be experimenting with a handful of new products that better align with my goals and aesthetics as an artist. And I plan to continue offering patterns and education on quilting (with more exciting news about that coming soon! ), because you're creative, talented, and totally capable of designing and making a beautiful quilt. So for now, it's last call for all pillows and canvas in the shop! June 15th will be the last day to purchase. I only have a limited supply of materials, so products will sell out quickly. Don't wait too long!